Riding a motorcycle onto the ferry means first-on and first-off privileges. I waited to go on last so I could snap some photos with the sunset. 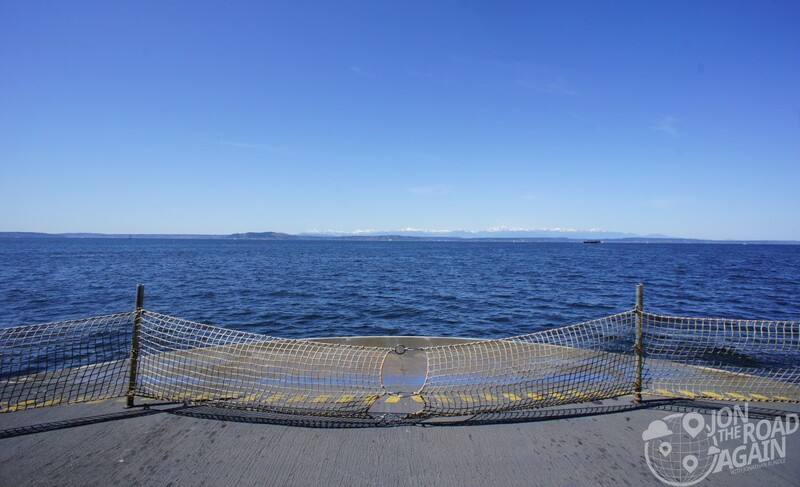 So what do you need to know about riding the ferry as a motorcyclist? Read on! My favorite place to ride is on the Olympic Peninsula. 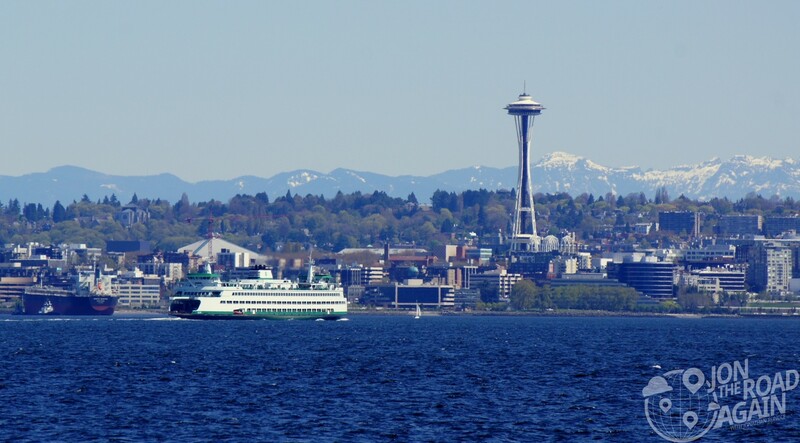 The best way to get there and back is by using our lovely ferry system. After a (presumably long) day of blasting around the peninsula, the 30 or 40 minute pause that the ferry provides is a great way to discuss the ride with your crew or to just take a break alone without having to worry about traffic or the radius of the next turn. Take these moments to think about the ride or just watch the scenery. If it’s summer, it’s usually spectacular. Motorcycles get first-on, first-off privileges. You will need to be on time, though. If you arrive when vehicle loading has begun, you’ll be loaded last. Motorcycle fare is much cheaper than other vehicles. You won’t need to pre-pay or reserve a spot. There’s plenty of room for us. The only possible exception is the Anacortes ferry, which may limit the number of motorcycles to 30. Typically, you should bypass the long ferry line and bypass the fare collection window. With some exceptions, you proceed to the loading area without paying, then park your bike in the designated loading area, and then buy your ticket from the walk-up kiosk, like a foot passenger would. There are lots of exceptions – review loading procedures by terminal here. No need to tie down like some ferries – the waters of the Puget Sound are calm and your bike won’t fall off it’s side stand.